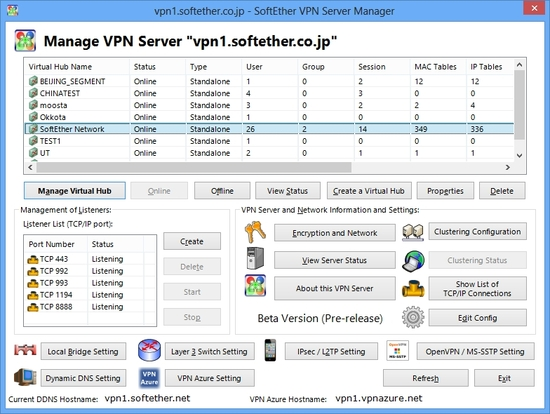 SoftEther VPN Reviews Recently Reviewed! An excellent solution to access windows in other countries. Pros: A fundamental characteristic of this software is its adaptability and ease of use, but the most important thing is the results it provides. With just activate it opens a window to the world, an endless amount of content that geographical barriers could not access. 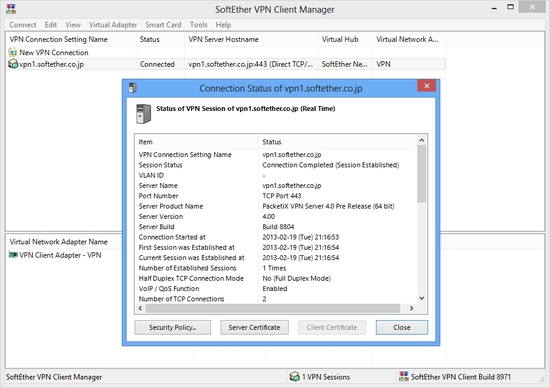 When I search for references for advertising campaigns, it is necessary to have the most options and Softethervpn gives you the option to search the world without restrictions. You can also use it from any device, either as an extension of Google Chrome or as an application for your smartphone. Simply excellent. Cons: I would add two points to strengthen the tool, I would place more options for central countries such as: E.E.U.U, Almeania and Spain. And it would increase the speed. Open source and very easy to use. Pros: I used SoftEther when my country blocked social media, it allowed us to bypass the censorship very easy, the performance were very high compared to alternatives and there were no limit thanks to open-source license. Cons: The only can I can think of is the website, which is outdated and could be redone from the beginning to allow the less experienced people to find what they look for easily. 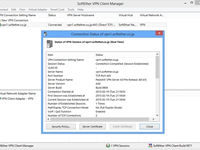 Pros: I liked the range of options, it could run VPN services on any port, integration with Active Directory. Also able to setup in different configurations to allow access to a remote site, or to run all network traffic like a traditional VPN to mask traffic. Cons: really need to know alot about networking and what your needs are to configure the server side. Configured incorrectly this could lead to major security issues. Overall: Overall after working through the setup and configuration options the day to day use is seamless and straight forward. Once you get over the learning curve this is a great self hosted vpn service. Pros: Free, open source and working, what else do you need?! To overcome social media blockage or to access foreign content I used SoftEther, it was very easy to install, and it's just straight forward, you are up and running in less than 5 minutes!